Drop the lumber and plant a privacy fence instead! A privacy fence can make entertaining fun this spring. We have been smothered by snow and fallen tree limbs frozen by wind and ice. But now we’re coming into March which means spring will be here in three weeks. 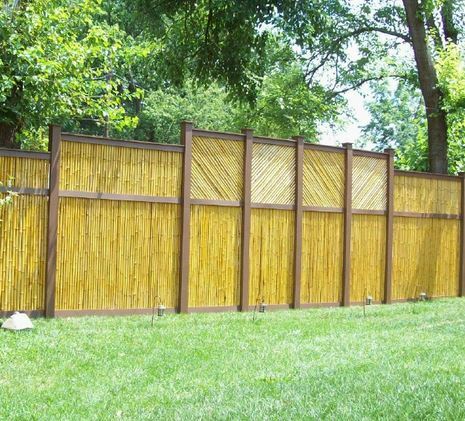 A privacy fence is all you need to have a private place for entertaining on the weekends. The cool thing is that you can do this without heavy construction. You don’t need a large pile of lumber – you can use plants and shrubs to make a privacy fence. Evergreens are amazing for live fencing. They can grow tall and create a barrier for street noise, wind and the glare from headlights. Hedges can be placed closely together to act as a screen. Shrubs are also low maintenance. Adding deciduous trees in with the evergreens can make a great live privacy fence for a very shady yard. Deciduous plants will allow light to enter the yard during the winter, plus they stay healthy all year. Bamboo is very strong and can make a solid wall. If you line up bamboo exactly around your backyard, it can look like a privacy fence made of wood. Bamboo can block out light and sound. It can contain any party you throw this spring. You can have a blast this Memorial Day weekend and the neighbors won’t know until they smell the aroma of the food form the grille. A privacy fence can make spring and summertime entertaining easy. Having a back yard cookout can be a real family affair with no disturbances from neighbors. Sharp Tree Service specializes in landscaping services including tree planting and land grading. Call on us to level out your grounds and install the proper plants and shrubs you need for a privacy fence.